The weather in England can only be described as depressing right now. Summer seems to have passed us by entirely, however I’m refusing to give in so quickly! In the spirit of summer, I’ve been obsessing over Ciate’s South Beach Socialite* polish collection, which brings together shades of white, rose gold and a coconut scented top coat. Scented top coats have always been something I’ve stayed clear of as they tend to still smell quite strongly of nail polish, but somehow Ciate have cracked it with this one as it really stays true to a coconut scent. The scent is only there one the polish is dry, so don’t be tempted to give it a sniff from the bottle, but a quick coat over the top of any other polish is all you need! You’ll end up with a very pleasant coconut smell that survives a day or two’s hand washing, but after that I’d recommend adding an extra coat on top if you want to refresh the scent. 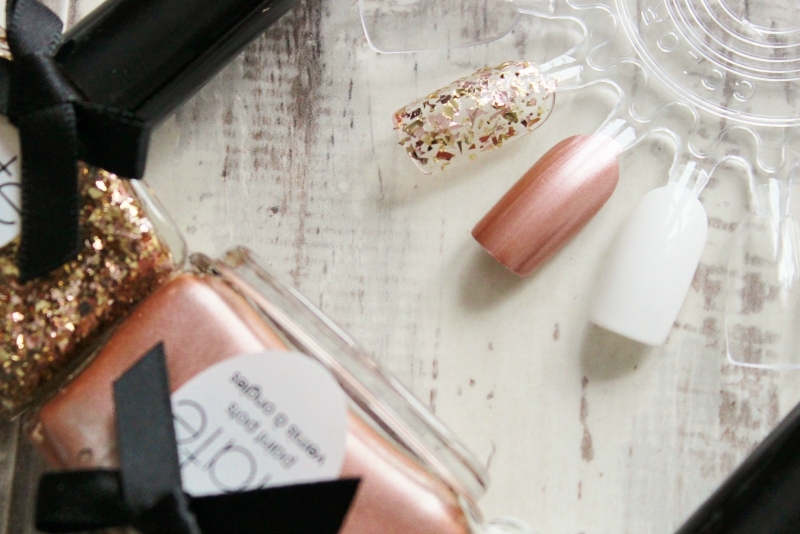 Polish-wise, there’s a white (White Heat), a luxe rose gold (Deco Delight) and a gold glitter top coat (Putting On The Ritz) to choose from, all of which look gorgeous worn alone or combined together in a nail art design. White Heat has seriously impressed me. White polish can sometimes be a bit wishy washy in terms of pigment, but this one only needs two coats to be completely opaque and wears for almost 5 days on me without chipping. Almost a personal best! If you’ve got a holiday tan, Deco Delight will look stunning set against it (it’s not quite right against my porcelain, pink toned skin). Again, this needs two coats for the best effect, and it doesn’t go streaky like a lot of metallic polishes can do. 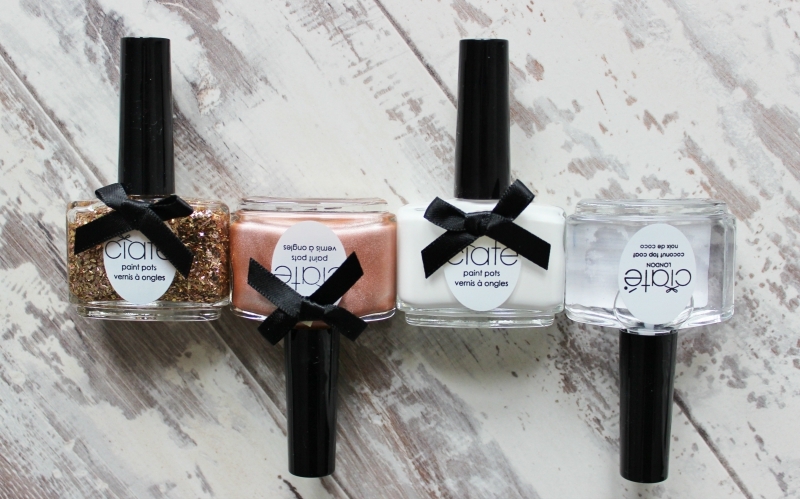 Each polish is available separately for £9, or if you fancy giving them all a try, there’s a set of minis which contains each of the four shades (£22). If you only buy one thing, I’d make it the Coconut Top Coat. I’ll be wearing mine well into winter, trying to pretend I’m on a Caribbean island somewhere sipping a cocktail! You can find the South Beach Socialite collection online from Ciate. Are you a fan of scented top coats? What would be your favourite shade from this collection?